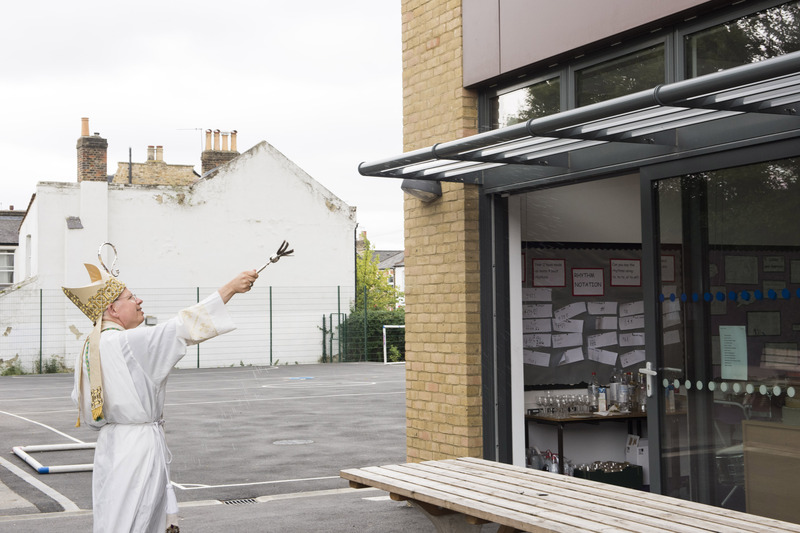 Bishop of Southwark, Paul Hendricks, blessed the new school building at St Mary’s Catholic Primary School today (14 July). The new building is the final part of the gradual expansion of St Mary’s, which started in 2011. Building works were carefully phased to allow the school to continue its work with the least amount of disruption possible. Part of the council’s successful £80 million primary school expansion programme, the completion of the new building allows the school to accommodate 420 pupils, up from 210. 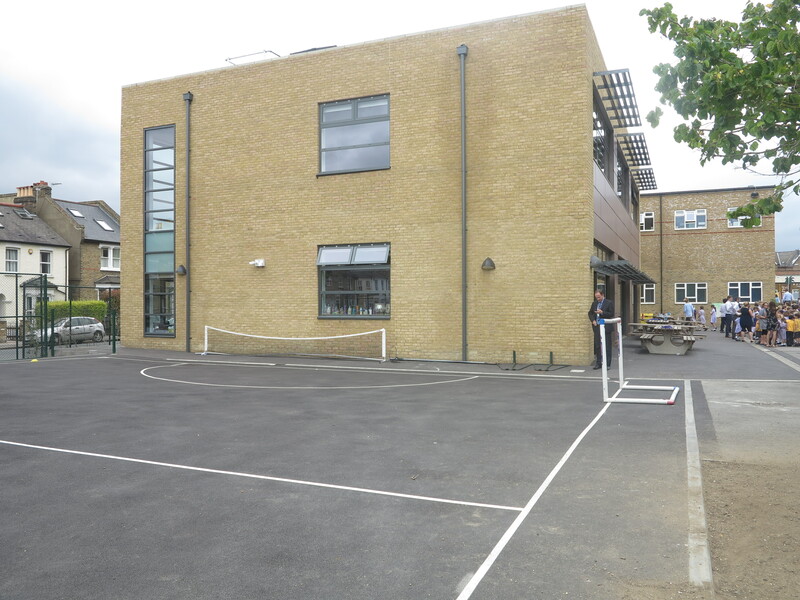 To enable the expansion of the school on such a restricted site, land next to the school site previously used by the council’s social services was provided, and the children at the school are enjoying the extra space in the extended playground which was completed in the spring. Modern facilities in the newly expanded school include a new studio hall adjacent to the current main hall, and a new two storey teaching block with six classrooms and associated spaces linked on first floor level to the main school building. This enables the majority of classrooms to be wheelchair accessible at the school for the first time. The recent expansion complements an earlier phase of expansion which provided two permanent classrooms. Since the works started, the school has gone from strength to strength and is now one of the borough’s highest performing schools. This year, St Mary’s was a Pupil Premium Award finalist for improving outcomes for their disadvantaged pupils. Merton Council cabinet member for education Councillor Martin Whelton said: “Our £80m primary school expansion programme has allowed us to provide excellent education to children local to where they live. 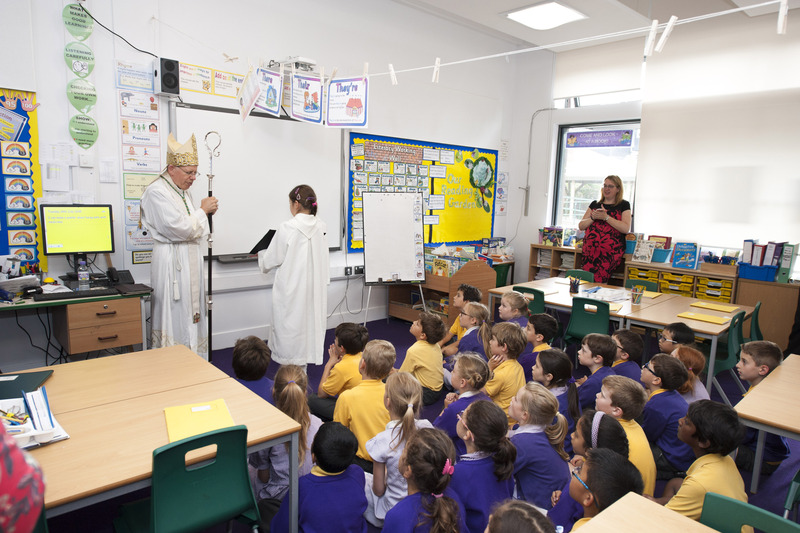 The new building at St Mary’s provides its pupils with superb facilities that will service generations to come as more young children receive quality education in Merton.